General Motors has come to Washington, begging for a $25 billion bailout to keep it and its ailing Detroit counterparts going next year. But nobody seems too thrilled about the prospect. Liberals dwell on the companies’ gas-guzzling sport-utility vehicles. Conservatives obsess over all the well-paid union members with gold-plated benefits. And people of all ideological backgrounds remember how they used to buy domestic cars, years ago, but stopped because the cars were so damn lousy. "The downfall of the American auto industry is indeed a tragedy," the Washington Post editorial board sermonized recently, "but the automakers and the United Auto Workers have only themselves to blame for much of it." And, if they have only themselves to blame, the argument goes, why do they deserve taxpayer help? Let them fail and file for bankruptcy. In the long run, the economy will be stronger and the workers better off. It’d be worth?the short-term pain, which might not even be so severe. In normal times, with another company, that might be correct. But these are not normal times, just as GM is not any old company. Nor is the simple economic morality tale everybody repeats about the auto industry accurate. Detroit has come a long way since the days of wide lapels and disco. GM, Ford, and Chrysler are taking precisely the sorts of steps everybody says are necessary--or, at least, they were taking those steps until an unexpected trifecta of high gas prices, vanishing credit, and a deep recession hit. Rescuing the auto industry is not, as so many people suppose, a question of giving Detroit one extra shot at transformation. It’s a question of giving Detroit a chance to finish a transformation that was already underway. 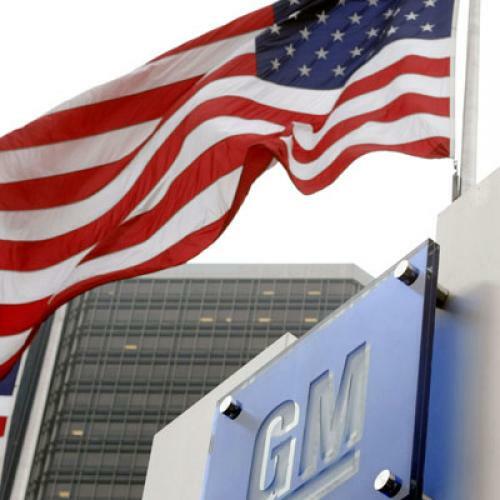 One reason for the casual support for letting GM fail is the assumption that bankruptcy would be no big deal: As USA Today editorialized recently, "Bankruptcy need not mean that the company disappears." But, while it’s worked out that way for the airlines, among others, it’s unlikely a GM business failure would play out in the same fashion. In order to seek so-called Chapter 11 status, a distressed company must find some way to operate while the bankruptcy court keeps creditors at bay. But GM can’t build cars without parts, and it can’t get parts without credit. Chapter 11 companies typically get that sort of credit from something called Debtor-in-Possession (DIP) loans. But the same Wall Street meltdown that has dragged down the economy and GM sales has also dried up the DIP money GM would need to operate. That’s why many analysts and scholars believe GM would likely end up in Chapter 7 bankruptcy, which would entail total liquidation. The company would close its doors, immediately throwing more than 100,000 people out of work. And, according to experts, the damage would spread quickly. Automobile parts suppliers in the United States rely disproportionately on GM’s business to stay afloat. If GM shut down, many if not all of the suppliers would soon follow. Without parts, Chrysler, Ford, and eventually foreign-owned factories in the United States would have to cease operations. From Toledo to Tuscaloosa, the nation’s?assembly lines could go silent, sending a chill through their local economies as the idled workers stopped spending money. Restaurants, gas stations, hospitals, and then cities, counties, and states--all of them would feel pressure on their bottom lines. A study just published by the Michigan-based Center for Automotive Research (CAR) predicted that three million people would lose their jobs in the first year after such a Big Three meltdown, swelling the ranks of the unemployed by nearly one-third nationally and leading to hundreds of billions of dollars in lost income. The Midwest would feel the effects disproportionately, but the effect would reach into every community with a parts supplier or factory--and, to a lesser extent, into every town and city with a dealership. In short, virtually every community in the country would be touched. This is, admittedly, a worst-case scenario--the sort of dire projection you’d expect from a Michigan-based think tank that receives a small amount of industry money. (And, as a Michigan resident, I should disclose my own small conflict: My wife, an?engineering professor, once directed a research project funded by Ford.) But the economists and industry analysts I tracked down this week vouched for CAR’s integrity and suggested the group’s estimate was in the right ballpark. Susan Helper, an economist at Case Western University and a specialist on the automobile industry, told me her rough calculations suggest the most optimistic outcome would be "just" half a million jobs lost--and that’s only if the failures are contained to GM. But she expects much worse, given the likely spillover effects: Her best estimate is that between 1.5 and two million jobs would be lost. The price of addressing such human misery with unemployment benefits, Medicaid, and other services would be huge, making a $25 billion loan seem like a bargain—particularly if the companies pay it back, just as Chrysler did after its bailout in the 1980s. Still, not everybody finds such arithmetic compelling. Critics of a bailout note, rightly, that bankruptcy isn’t simply about giving distressed companies financial protection to get through rough patches. It’s also about letting the free market do its work--about forcing inefficient companies to reorganize or, failing that, to make way for others. If the government spares Detroit from failure, the government might end up supporting obsolete companies while rewarding both management and labor for their oafish behavior. Make no mistake: The Big Three deserve some scorn. For decades, they were complacent about foreign competition and the need to make more fuel-efficient cars; then they responded by seeking government protection in the form of trade barriers and lax mileage standards. The United Auto Workers (UAW) were willing accomplices to these acts, insisting upon rigid work rules defining who could do what job and under what conditions. That, plus their fierce protection of jobs even at unprofitable plants, made it difficult for the Big Three to adapt as consumer desires changed. Detroit steadily lost business to companies like Honda and Toyota that managed to make cars more efficiently--and figured out, early on, that rising gas prices would increase?demand for more fuel-efficient vehicles. But what’s missing in the tsk-tsk editorials is any recognition that the culture of Detroit has been changing, however belatedly, starting with its labor relations. Ford led the way years ago by reaching site-specific "competitive operating agreements" with locals at different plants, rather than sticking to one national agreement, thereby enabling it loosen work rules and engage in the sort of collaborative quality management on which industry leader Toyota made its reputation. Then, last year, the UAW reached a breakthrough agreement in which it granted the companies similar flexibility, agreed to a two-tier wage structure for new hires, and set up a separate trust fund to finance future retiree health benefits. The companies would provide the initial money for this trust, but, henceforth, the unions would manage it--thereby taking off the companies’ books a tremendous burden that had, on its own, accounted for about half the gap in compensation between unionized workers for the Big Three and non-unionized workers for foreign-owned automakers. "I think they’ve shown unprecedented ability to change and transform the union," says Kristin Dziczek, who directs CAR’s Automotive Labor and Education program. "They understand what is at stake." So far, the results are promising. According to the most recent Harbour Report, the benchmark guide for manufacturing prowess, Chrysler’s factories now match Toyota’s for the most productive, while both Ford’s and GM’s are improving. (A Toledo Jeep factory was actually named the nation’s most efficient.) Consumer Reports now says Ford’s reliability is approaching that of perennial leaders Honda and Toyota, whose ratings actually slipped last year. In late 2010, GM will introduce the Chevrolet Volt, a plug-in hybrid that can go 40 miles without gas, and the Chevrolet Cruze, a compact that relies solely on gas but that gets 45 miles to the gallon. The Volt would represent a rare leap ahead of the Japanese, who never embraced plug-in technology with the same enthusiasm. It’s also typical of the better cars that observers say Detroit has in store. "There’s a lot of accumulated negativity about these companies out there," says Wharton’s John Paul MacDuffie, who directs the International Motor Vehicle Program. "U.S. consumers gave the Big Three the benefit of the doubt for a long time before turning away from them, and now their reputation is worse than their actual performance and progress toward needed reforms." MacDuffie would be the first to say the progress is incomplete. As proof that Detroit still has a lot to learn, he points to recent strategic mistakes like its overreliance on deep sticker-price discounts and large rebates, which dilute brand reputation and resale value. But Chapter 11 seems like a particularly poor way to fix these sorts of lingering problems. Bankruptcy is a messy, expensive process that would likely do more for lawyers than for the automaker, which has already taken the most obvious steps toward efficiency. "With the airlines, it was to get out of their labor contracts and to get out from under the underfunded pension positions they created," says Mark Oline, a highly regarded automotive analyst with Fitch Ratings. "But, in the case of GM and Ford, they have done a very good job with the UAW to address those problems of wages and benefits." If anything, Chapter 11 might reinforce some of Detroit’s worst habits--starting with its tendency to seek the lowest prices from parts suppliers, even if that means switching companies frequently and paying relatively little attention to part quality. Toyota is famous for taking the opposite approach: It eschews easy savings in order to maintain long-term relationships with suppliers; these relationships, in turn, allow Toyota and its suppliers to collaborate on design and quality. It’s precisely the sort of production technique that the Big Three should be adopting. But, in a Chapter 11 filing, under pressure to improve the bottom line as fast as possible, they’d be unlikely to do that. And that’s assuming they even make it to Chapter 11. In the more likely event that GM had to shut down altogether under Chapter 7, as most experts I consulted predict, the company’s institutional knowledge would end up on the proverbial shop floor. Among the casualties could be the Volt--and any near-term hopes of a marketable plug-in for the domestic auto industry. "Maybe those engineers get rehired, maybe not," says Case Western’s Susan Helper. "But you lose those working relationships; you lose all the time invested. ... [People] don’t really have a sense of the things that have to get put in motion, when you have ten-year planning horizons for new engines. When you disrupt that, it’s very costly." It appears as if President-elect Obama and the Democratic leadership in Congress are thinking along those lines already (although it’ll be surprising if they demand concessions from unions that just played such a big role in electing them). But, if the government demands that the Big Three and its workers live up to more obligations, the government--which is to say, the taxpaying public--must live up to some obligations of its own. Companies like Honda operate out of countries that made health and retirement benefits a national responsibility. And the perennially high price of gasoline, a product of high gas taxes in virtually all other highly developed countries, has ensured a steady market for their smaller, more fuel-efficient vehicles. There’s no reason not to treat U.S. car companies, and car owners, the same way. For now, that would mean government would assume some health and pension obligations (which it would have to do in a bankruptcy anyway, though its Pension Benefit Guaranty Corporation) while subsidizing the purchase of fuel-efficient cars (something it is already planning to do, thanks to recent tax changes). But the debate over a Detroit bailout should begin a larger political conversation, one that sprawls beyond the Midwest and the intellectual confines of lean production techniques and workers’ legacy costs. Whatever mistakes the Big Three and the UAW have made, their struggles are a pretty good indicator of why the government--not employers--should be responsible for providing health insurance and why, without broader action to fight climate change, improving fuel efficiency will be a struggle. Naturally, the Big Three should enthusiastically promote these reforms, something they haven’t done in the past. Nothing can stop the revolution in auto-making and drivetrain technology; even under the best of circumstances, the Big Three need to become smaller, more efficient, and more environmentally conscious. But if the government manages that change and uses it as a springboard for discussion of broader economic reforms, everybody can benefit.